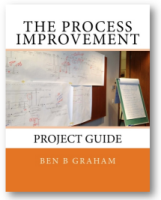 The Graham Process Improvement Methodology outlined below, like Lean, Six Sigma, TQM and others, has its roots firmly planted in the early methods of scientific management. You will find a strong similarity between this six-step model, Six Sigma's DMAIC, and PDCA/PDSA promoted by Deming and Shewart. The principal difference between the Graham Methodology and the others is its focus on information processes. 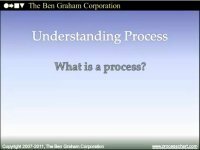 The Graham Process Mapping Method, introduced in 1944, is an extension of the flow process chart, a mainstay in manufacturing process improvement, that has been adapted to information processing to display multiple documents and their relationships. The Graham Process Mapping Method is a powerful, detailed process flowcharting method that will help you blow away your customers and associates. It has been helping people develop better business processes since the 1940's. 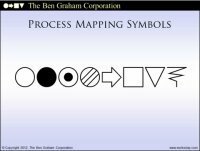 Well-prepared Graham Process Maps are easy to understand and work with. The following process improvement methodology outline includes articles and forms to help you be successful with your process improvement work and to help you manage your business processes. If your goal is process improvement, then a solid understanding of the existing process is essential. 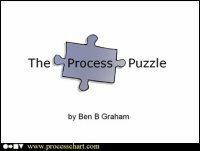 A properly prepared Graham Process Map displays every form and document (paper and electronic) along with every database, system, application, website... in the process. It shows WHAT happens to each item, WHO does the work, WHERE the work is done and HOW LONG it takes. To get a feel for working with the software, begin by copying another chart. A sample chart 'Receiving.pdf' is provided for this. Also, read through the Getting Started manual and print out Keyboard Shortcuts.pdf and Using Graham Process Mapping Software.pdf. These are all installed with the software and made available on the Start Menu. 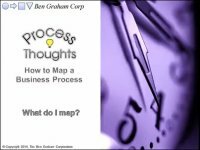 Prepare a Process Map Graham Process Mapping Software Buy Now! 1 Available in the Free Project Kickstarter. 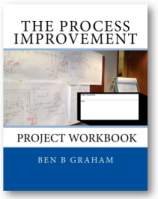 Free Process Improvement Project Kickstarter! for more articles and papers.